Study Bachelor of Business (Sport and Recreation Management) at the University of South Australia (UniSA). Information for International students. Build an exciting career managing sport and recreation events, and initiatives. Hear from guest lecturers who work in the field and from highly-experienced teaching staff. Gain practical skills through site visits and an industry placement. Learn to implement tactical programs, manage financial and physical resources, and apply critical problem-solving skills. Develop the confidence to lead, motivate and manage others, communicate effectively and think strategically. Join a business school ranked in the World Top 50 for Hospitality2. 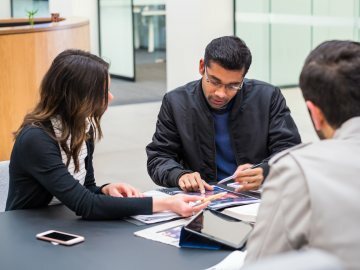 The University of South Australia Business School is in the top one per cent worldwide3 and has been awarded an overall five stars for excellence in the QS Stars Ratings 2019. 1QILT: Graduate Outcomes Survey Course Experience Questionnaire 2016-18 – Full-time Employment Indicator (Undergraduate and Postgraduate). Public SA-founded universities only. 22019 QS Subject Rankings. 3UniSA Business School is one of just nine institutions in Australia and 180 globally to be accredited by EQUIS (from over 16,500 worldwide). EFMD, February 2019. Build an exciting career managing sports and recreation events, and initiatives. In this respected degree you will learn to implement programs, manage financial and physical resources, and problem-solve. Your studies will have a very practical focus, where you will learn through site visits, hear from guest lecturers and learn from a highly-experienced teaching team. With this degree, the options for enriching your study experiences are extensive. You can choose to incorporate real-world international experience into your studies with a student exchange or study tour. You can gain practical experience through an internship or experiential elective; participate in a business simulation project and work with a business career mentor. The degree starts with core courses in business. These will give you a solid grasp of business fundamentals such as economics and accounting, entrepreneurship and business intelligence. The Sport and Recreation major, sub-major and minor are available as a result of this program schedule. UniSA is renowned nationally and internationally for excellence in business education. We develop our degrees in partnership with industry and connect with top professional bodies. With a specialisation in sport and recreation management you will graduate with the confidence to lead, motivate and manage others, communicate effectively and think strategically. You will study specialised sport and recreation courses, such as recreation planning for local communities and designing leisure programs. You’ll also gain practical skills through site visits and an industry placement. Employment for amusement, fitness and sport centre managers in Australia is projected to increase by 20.8 per cent by November 20201. By 2020, employment in Australia for conference and event organisers is projected to increase by 9.5 per cent1. Accommodation and hospitality manager employment in Australia is projected to increase by 17,300 jobs (14.3 per cent) by November 20201. I have over 30 years of business-linked experience in Australia and internationally and a long held commitment to achieving wider business literacy in the community, evidenced through my teaching and consultancies such as co-writing the South Australian Year 12 Accounting curriculum. 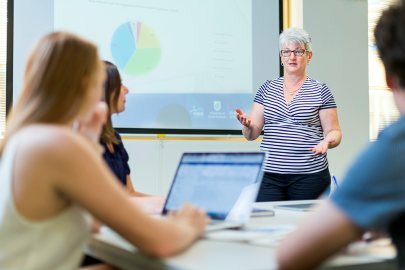 As the Bachelor of Business Program Director, I assist students in the Business School's exciting selection of industry relevant undergraduate degree majors offered in both Australia and Hong Kong. 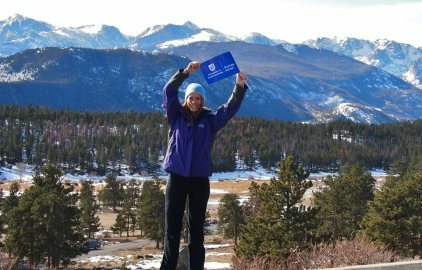 My degree has given me an understanding of not only sport and recreation, but also accounting, event planning, outdoor education and marketing. The development opportunities and engagement with people from the business world was vital in gaining experience to succeed after university. I've been involved in the sport industry as a player, coach, administrator and researcher, within Australia and internationally including being a former National Collegiate Athletic Association (NCAA) scholarship athlete in basketball. These experiences allow me to provide students with industry-relevant knowledge that can be applied to a range of sport management careers. 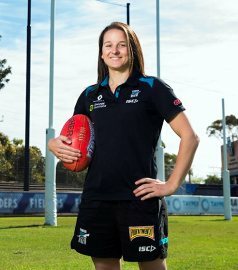 I have always had a significant interest in sport and I am fascinated with what goes on behind the scenes at sporting organisations, this made the sport and recreation management degree a perfect fit. During my study, the teaching staff were excellent. Their support and feedback was invaluable and I credit them for guiding me on the path to achieving employment after university. 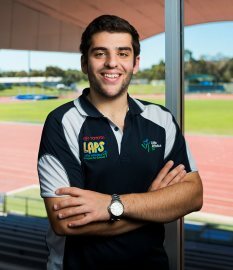 Whilst studying, I undertook two university placements; as an Auskick Programs Assistant with the South Australian National Football League, and as the Growing for Gold Event Coordinator with the City of Salisbury. These placements provided me with an opportunity to transfer the skills and knowledge I learnt at university into a practical setting. Hear about studying sport and recreation management at UniSA.